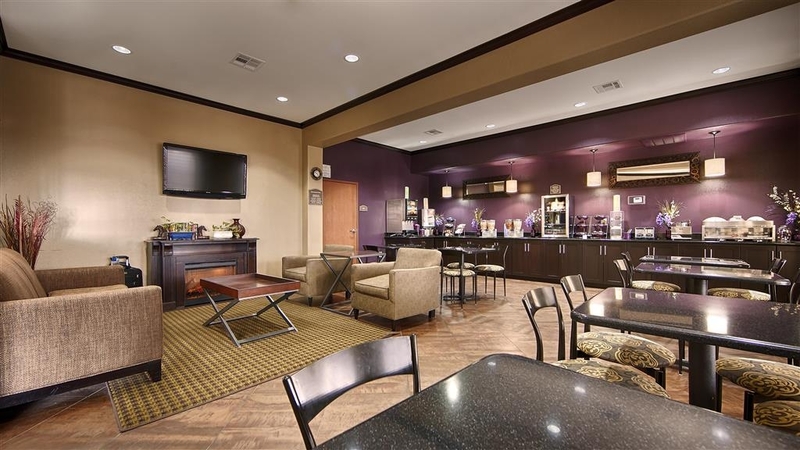 Das Best Western Giddings Inn & Suites ist ideal in Giddings Stadtzentrum zu finden. Erleben Sie ein schöner Aufenthalt in der Nähe von alle Sehenswurdigkeiten. Bestpreisgarantie und exklusive Angebote. Unser Hotel in Giddings bietet eine günstige Lage in der Nähe von Geschäften, Restaurants und den wichtigsten Attraktionen der Stadt. Genießen Sie eine der vielen aufregenden Veranstaltungen des Cotton Bowl Speedway, oder besuchen Sie ein Ereignis auf dem nahe gelegenen Campus des Blinn College. Ganz gleich, was Sie für Ihren Ausflug geplant haben, genießen Sie jeden Morgen ein kostenloses warmes Frühstück mit heißen Pfannkuchen, Eiern, frischem Obst, knusprigen Gebäckstücken und reinem Arabica-Kaffee zum Nachschenken. Wir erfüllen die Bedürfnisse aller Gäste und freuen uns gleichermaßen über Geschäftsreisende, die wegen B&N Oilfield Equipment Co. Inc. hier sind, und Familien im Urlaub. Da Komfort und Bequemlichkeit bei uns an oberster Stelle stehen, sind alle Zimmer mit dem Fahrstuhl zu erreichen und mit Mikrowelle und Kühlschrank ausgestattet. In der Nähe des Hotels können sich Gäste auf einem der Golfplätze entspannen, und der Fireman's Park ist ideal für einen Tagesausflug in die schöne Natur. Ob Sie einen Termin bei PumpCo Inc. haben, einfach nur auf der Durchreise sind oder einen romantischen Ausflug machen, in unserem Hotel in Giddings werden Sie sich vom ersten Moment an zu Hause fühlen. Unser Personal verwöhnt Sie mit typischer Südstaaten-Gastlichkeit und bereitet Ihnen einen möglichst angenehmen Aufenthalt. In der Nähe unserer Anlage gibt es zahlreiche Restaurants, in denen Sie etwas für jeden Geschmack finden, von texanischen Grillspezialitäten, bis Feinschmeckerrestaurants und gutbürgerliche Küche. Einkaufen ist schon fast eine Sportart hier, ganz gleich, ob Sie sich für Antiquitäten oder Jagdaccessoires interessieren. Selbst Geschäftsreisende, die bei DCP Midstream® oder Baker Hughes zu tun haben, nehmen sich bei einem Aufenthalt in unserem Hotel die Zeit für etwas Erholung und Entspannung. Zahlreiche Attraktionen befinden sich in der unmittelbaren Umgebung, und die Unternehmen sind schnell und einfach zu erreichen. In unserem Hotel in Giddings erwarten Sie ruhige und geräumige Zimmer mit Luxusbettzeug und der beste Service der Stadt. Unsere Gästehaben oberste Priorität. Wie können wir Ihren Aufenthalt noch angenehmer machen? Sagen Sie uns einfach Bescheid, und wir kümmern uns darum. Buchen Sie Ihren nächsten Aufenthalt im Best Western Giddings Inn & Suites, und erleben Sie ein Höchstmaß an Qualität und Komfort. Wir wünschen einen schönen Aufenthalt. "Best Kept Secret near Round Top!" 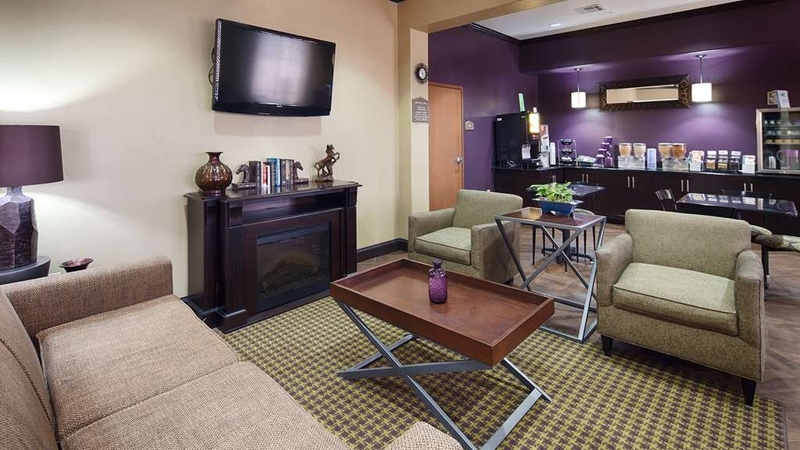 We so enjoy staying at the Giddings Best Western during Antiques Week! Comfortable, clean, modern, quiet, and really nice breakfast. The manager/owner is fast and efficient, and knows his business. We so enjoy coming back to our room after a long day of antiquing....You can't go wrong with the Giddings best Western. We thank you for your business and are pleased to know that you are satisfied. Our staff does their best to ensure that all guests enjoy their stay at our hotel. We look forward to your next visit during the Round Top Antique Fair. Very Comfortable, Nice Staff. Asked to check out 1 hour later but was told couldn't. Bit then was given 30 minutes, even though other friends given till 12. Was a great location. My friend's and I would definitely recommend this hotel. "Remember when Best Western was a destination?" Well this one isn't. When I called t reserve a room, it seemed like I was disturbing thre man. Got here and the lady at the desk was nice but got to the room and...toilet bowl could use sone bleach, shower head was shot and left over coffee in the maker was a great touch..paint peeling from the walls and pictures in the room is a bit tacky. When coming in the lobby this morning, a fella just stands behind the desk staring at me when I said good morning, (Ibet a woman would get really gret creeped out. My brother stayed here when he was moving to town, told me my back would hurt in the morning, it did. I think I'd rather just do the motel six down the street, save some money and know what I'm getting when I come back to visit. I apologize that you did not have a pleasant stay. We do thank you for your comments. Okay too start, the room stunk awful. It smelt like the muskiest room at the coast that had water damage and was closed up for a year. Ceiling fan didn't work. Toilet had urine stains under lid. Construction at 8am ,loud noice then without any warning. Because of noise, the breakfast room was packed and coffe machine out of coffee, bacon cold and tasted like cardboard. Eggs out , no place too sit. Only one luggage rack and had too wait 15 minutes for it. Was told they would take care of the smell in room, and it only lasted one or two hours and they didnt fix the ceiling fan like they said they would. I SLEPT WITH COVERS OVER MY HEAD AND GOT SICK AND HAD TOO GO TOO DOCTOR FROM IT. WOULDNT REIMBURSEMENT ANY MONIES. CHARGED ME WAY TOO MUCH FOR ROOM BECAUSE OF ANTIQUE SHOW ECT IN AREA. ONLY ROOM AVAILABLE AND THEY KNEW THEY HAD ME. SOOOO UPSET.... IM EVEN A REWARD MEMEBER... NOT HAPPY AT ALL. THEY DONT CARE, JUST MONEY IN THEIR POCKETS. We are sorry you had an unsatisfactory experience. Thank you and have a blessed day. Giddings is a small town between Austin and Houston, Texas. Highly recommend this hotel for a good stay. The room was beautiful and large. There was even a ceiling fan. The breakfast was good and the breakfast area was the cleanest I've ever seen. Staff was friendly. And, if you need supplies there is a Walmart a short walk away. Great stay. This is not our first time staying at this location, we have always been very pleased with our room. We had room 301 on 7/7/18 and the toilet seat was upsetting. the treadmill was also out of order.We had no problem with the checkin, it was fast and the breakfast was okay choices:eggs,sausage, hotcakes, biscuit, cereal, yogurt, and/or muffins. Poor rating on this visit due the fact, I am pretty sure a toilet sit will not cost No More than $20. 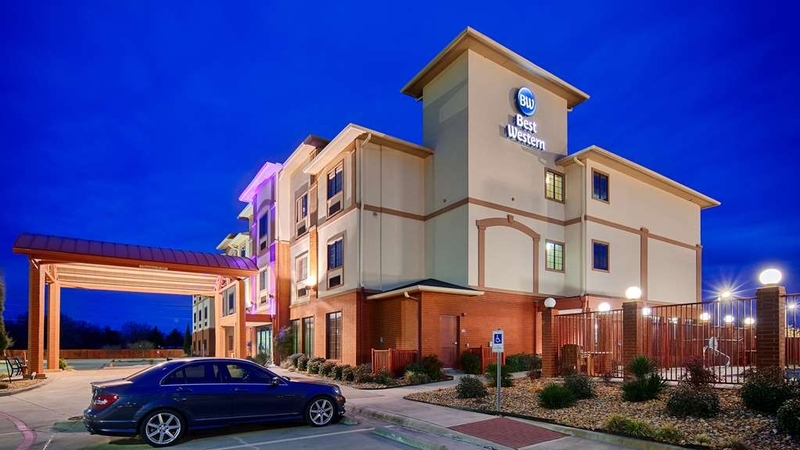 "Wonderful Stay in Giddings Texas"
My husband and I stayed one night at this Best Western in Giddings. Our stay was very nice and very comfortable. We were walk ins. i found the response of the lady at the desk pretty odd. We asked if there was a King room available for the night and she responded "yes, but the rooms are expensive" Ok? I think this employee needs to keep her opinions to herself, stay professional and just quote the price. It is up to the customer to decide whether or not to pay the price to stay. The room was very large and had the couch sitting area as well and a ceiling fan(love that). I am not sure why hotels are putting sofa pillow sized pillow on the bed as bed pillows? This seems to be the trend at the places I am staying lately. I am asking for regular sized bed pillows please? The hotel is right across the street from Walmart. You can walk there. Breakfast is fine. Typical hotel morning fare. We would stay here again and the hotel is recommended. "Nice clean & quiet hotel"
No real problems with this hotel or stay. Breakfast was scrambled eggs, sausage, biscuits, gravy and pancakes for hot items. Fruit and cereal plus yogurt were also available. Bed was firmer than I like but room and bathroom were clean with fresh towels. If there was a nicer hotel in the small city I would stay elsewhere due to horrible rules created by hotel manager. When a paying guest is told how and where to eat their breakfast, and what kind of shoes need to be worn into the hotel because cleaning mats/ boot cleaners aren't in place makes you want to walk straight out. 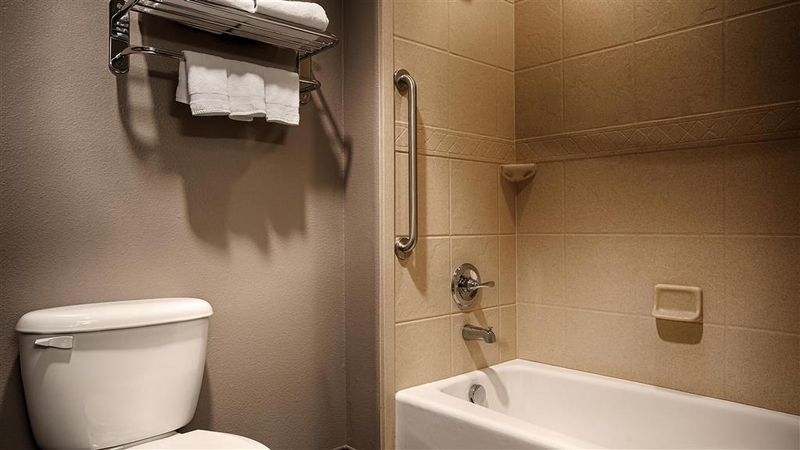 Good experience at this hotel... clean room and bathroom... quiet and comfortable nights sleep... only issue was toilet backed up for no apparent reason, however staff person came quickly to remedy the issue! 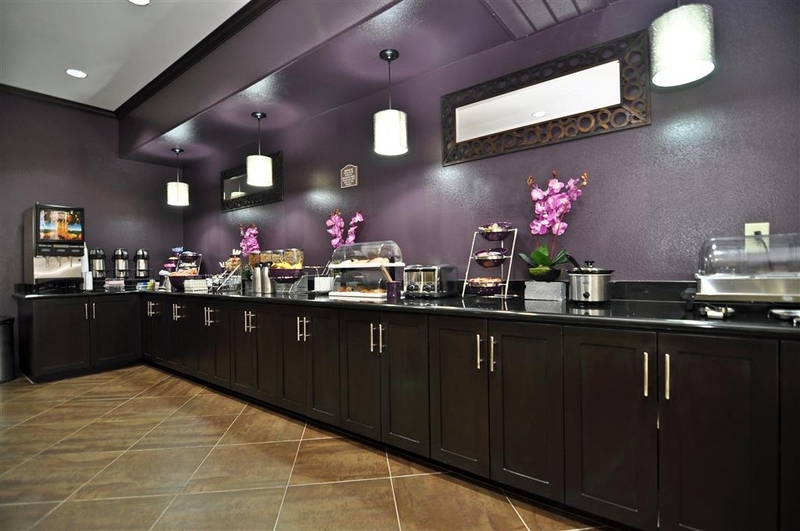 Nice clean breakfast area with good selection of breakfast foods! I stayed on a business trip. The local Antiques fair was peaking when I checked in and the weekend rates were higher than I like to pay. Otherwise a good experience overall and convenient location on Hwy 290. Clean updated rooms. Very dark curtains which helps the room to be very dark for sleeping. On a quiet street, very little outside noise. Across the street from Wal-mart and right beside McDonald's. Staff accommodates our late check in very well. Only complaint is that there were a couple of dead beetle type bugs in the bottom of the tub. Other than that, wonderful place to stay. 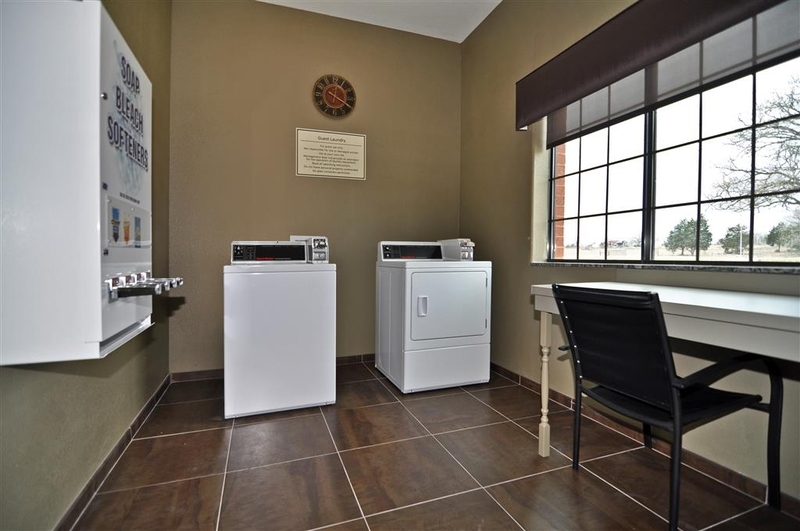 "Best Western Giddings Inn and Suites, Giddings, TX"
Very nice, Clean and friendly. The personal was dressed nicely and the room very clean. The breakfast help was very helpful and food presented beautifully. The check out time was fast and present. The parking lot safe and clean. Thank you for your comments and positive experience. 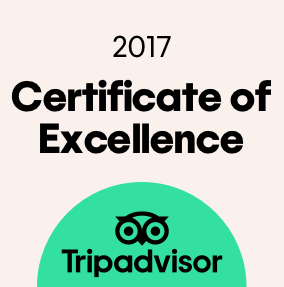 We appreciate having you as our guests and hope to see you again in the future. Beautiful hotel and amenities. The staff are always welcoming and ensure you have a good stay. Very easy check in and express check out process. 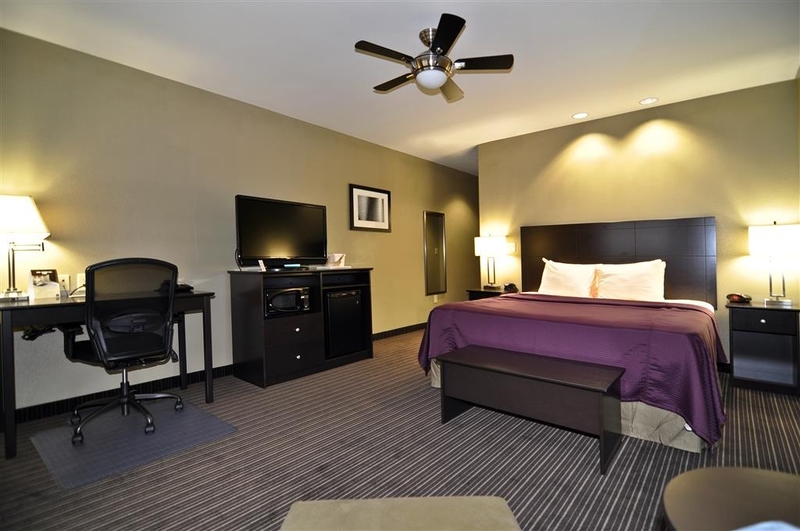 The room has high quality furniture and very comfortable beds and pillows. "Going to Round Top Festival Institute"
We came to this area to hear three concerts at the Round Top Music Festival. This hotel was located right on our route and offered a free hot breakfast. Great place to stay in this area. Very helpful professional staff. Room very clean. Bed wonderful! We stayed a night in Giddings for a night before a trip to Round Top. The hotel is located close to main road, but was quiet and there was no road or other noise. There is a Walmart and a small strip mall within easy walking distance. 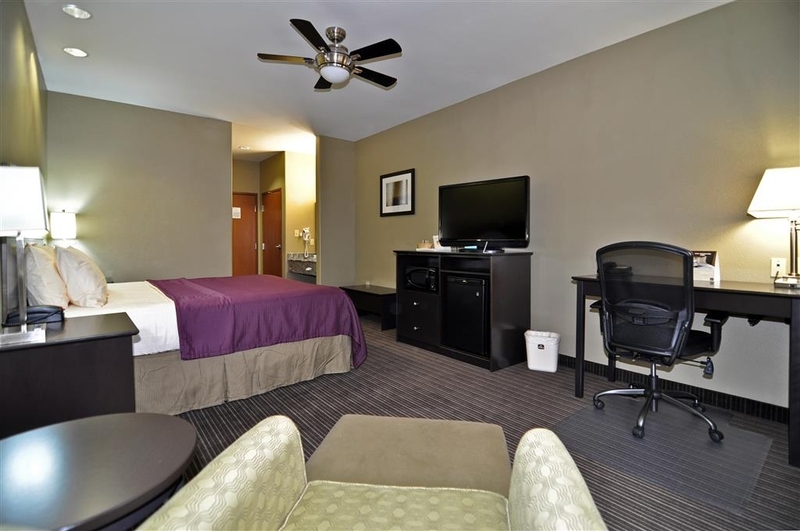 The rooms are nicely furnished and of a good, comfortable size. The staff were less than inviting, but did their job. The breakfast was comparable to Holiday Inn Express, etch. but slightly better. Numerous white milky stains all over sofa. Bed linens were also stained in all the 'right' places indicating something disgusting was not washed off. Corners of room and anywhere behind anything was caked with dust and dirt. Filthy hotel. Staff are unfriendly and uncaring. Overall a disgusting place to stay. We are sorry for your unsatisfactory stay. We appreciate your feedback. This hotel was clean and cozy. The rooms were big. The beds were comfortable. This hotel had breakfast but I didn't eat it so I am not sure what they had. After a certain time you have to have a room key to get into the hotel or call for them to open up. "Rooms are clean and comfortable"
The rooms were clean and comfortable. The a/c in our room was not working properly. We did not notice until the middle of the night so we did not report it until checkout. Not much to choose from at the breakfast but it was hot and there was plenty. I thought the rate was a little high for the area. "Overall a pleasant experience "
We stayed 2 nights here. Have stayed here in past visits as well. Staff is always friendly, accommodating and courteous. Rooms are comfortable and clean. They offer a nice breakfast buffet. Only issue we had was that our room was never tidied up after our first night and we had to call for clean towels. We did not have a do not disturb sign at all, so that was not on the door although we could have used one for the nights. When I Googled pet friendly hotels this hotel was listed as pet friendly, it's not, we arrive late to check in and I realized they didn't accept pets and i stated they could stay in my vehicle, owner then decided it was Ok to shake his finger at me and make the threat " I better not see them in my hotel OR ELSE, this is a fancy hotel" but this owner found it necessary to go hide in the back room when my husband came in, I told him he wouldn't see my pets in the hotel. We stayed as we were tired. I had taken my dogs for a walk in the large field next to hotel, I was simply sitting in car with dogs on leash waiting for my husband, when another owner came out and informed me he didn't want dog out of vehicle on his property, so we checked out and found a different hotel. I did find it funny that his "fancy hotel" had such a crappy couch with a cover on it and looked hideous. No where does it say we allow pets. Go to bestwestern.com and you will see that it says pets not allowed. Go to expedia.com and no where will you find that the hotel accepts pets. Thank you very much. If you want a clean, friendly place to stay this is the best hotel! We come every year for the Round Top Antique Fair and this hotel consistently serves well! Although the rooms are not fancy, they are clean with comfortable beds. The breakfast is good with lots of choices from scrambled eggs, bacon, pancakes, cereal, etc. "Super Hotel in a Small Texas Town!" 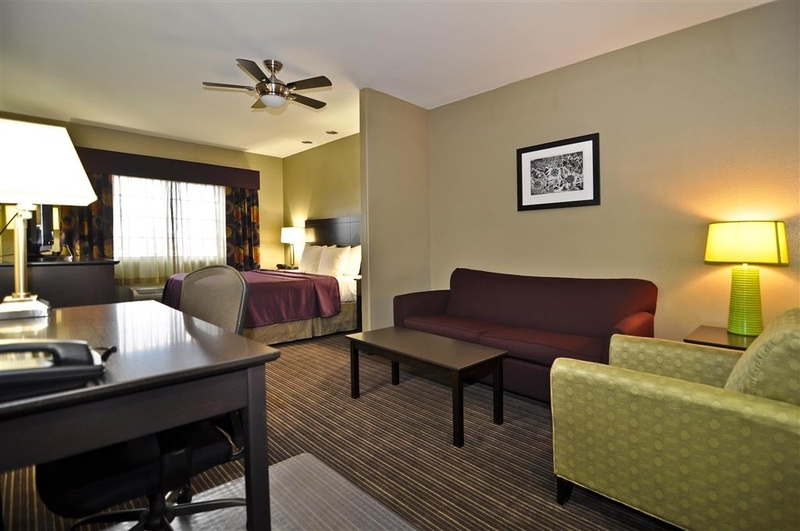 If you are traveling on HiWay 290, this is a great hotel for you. Giddings is the town, and it is near many other small towns in Texas. There is a great steakhouse and Mexican food restaurant in Giddings. You will enjoy the rooms at the hotel. 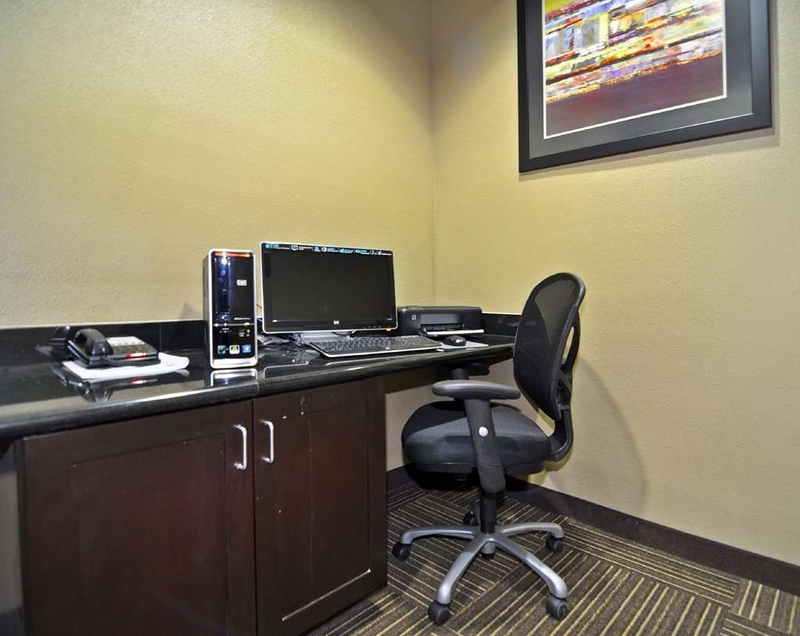 They have good beds and a lovely sitting area so that you can stay up and work while your spouse has retired. Don't miss the breakfast at the hotel. Enjoy the friendly staff! Our room's decor was very nice.. Clean with nice furniture and very comfy beds. The front desk lady was very friendly...even remembering us when we came in late, asking how we'd enjoyed the party. The breakfast and hot coffee were delicious and hot. I would select this hotel again! Traveling to Houston with daughter and two babies. The hotel was easy to find at night, and right next to a Walmart to grab a few last minute items. Our room was very nice, beds comfortable and a free breakfast is good but the items were sparse and when I asked about more bacon the cook said sorry I put out all we had.... I over heard a staff conversation telling of only 13 guests at the hotel that night- I guess they only put out a ration per guests for the bacon. Overall great experience and I will stay here again. "Best Western in Giddings Texas"
Dirty hotel with surly staff. Room was dark with 20 plus crickets in room. Most dead but many hopping around. Staff was surly and sarcastic regarding room cleanliness. Left hotel earlier than planned because it was so gross. 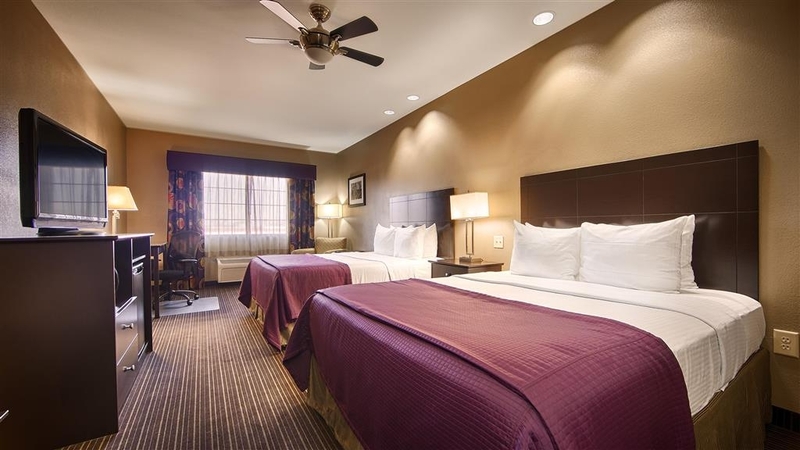 "Great 7 night stay at the Best Western in Giddings, TX"
This hotel is super clean, up to date, lovely large rooms with spacious sitting and working areas, and VERY QUIET. The management is professional and friendly. Our breakfasts were delicious. For this quality hotel to be in such a small and out of the way town is quite special! "BEST in Giddings, that's for sure!" 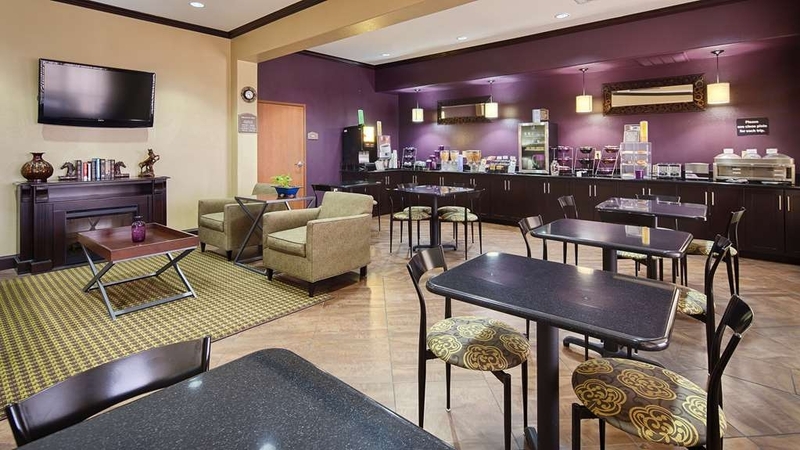 After reading 'comments' on all local hotels, Best Western WAS THE BEST! Upon arrival in the town and riding around, we were very glad we picked Best Western. Being once an 'oilfield town', you can tell from quite a lot of closed businesses. 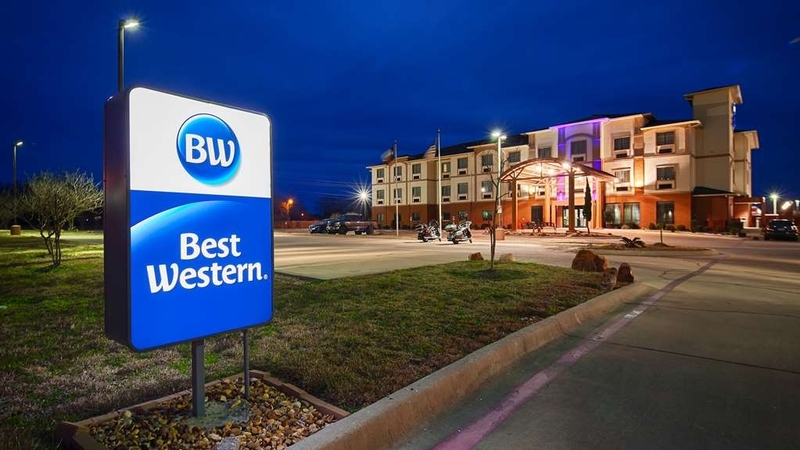 "Giddings has a great place to stay"
Very happy that Giddings has a new Best Western. Check in was fast and easy and friendly. We were very satisfied with the room. It was very clean and comfortable. TV quality was lacking but acceptable. Internet service was good. Bed provided a comfortable night's sleep. Breakfast selection was good: eggs, bacon, pancakes, biscuits and gravy, toast....yogurt, cold cereal, hot cereal, pastries, fruit, coffee and juice. My daughters and I had spent the day in Round Top and needed a nice reasonable place to stay overnight. Found this hotel and the price was right. Pleasantly surprised at the value and how well this one was maintained. Check in to check out we had a very nice stay. Breakfast was very good. "Manager / Owner Reminded Me of Seinfeld "Soup Nazi""
Originally I was inclined to rate this hotel a 4. However, by end of visit I lowered to a 3. Good Rooms are large, bed was very comfortable, plenty of hot water, ceilings high, TV OK. Room wise I did not have any major issue. Hotel in general was clean. Bad Breakfast area was much smaller than other BW hotels. I would describe the overall breakfast as "below average" There was no fresh fruit, unusual for a BW. The coffee was poor, it was made cup by cup out of a machine, when you pushed a button. No hard boiled eggs, no bagels, no butter, no cream cheese. Oatmeal was in packets. Standard microwave type eggs, & meat that many hotels have, Biggest surprise, was that there are multiple signs posted in breakfast area telling you, you are NOT allowed to bring any breakfast items to rooms. I have never been to a BW (or any other hotel ) that has such a prohibition. I went to front desk and asked to speak to a Manager. Manager told me, food is not allowed because of their "policy". I found out later from breakfast person, that he was also the Owner. I asked the Manager / Owner why they had such a policy. He just explained, that at another hotel he was at, he had "problems". I asked why would he "punish" all guests, because a few might cause problems. Why not just penalize / charge someone that possibly causes damage etc., on exception basis. I tried very nicely to explain, that my wife like others, was tired, as we travelled a lot the previous day, and she chose to sleep rather than making the 930 breakfast cutoff time. In addition there are so few tables in the small breakfast area, I can't imagine there being enough space, for guests at certain times. Manager gave me "permission" to bring coffee and 2 slices of toast, back to my wife in the room. I laughed to myself. It reminded me of Seinfeld episode, where the "Soup Nazi" told Elaine, she could not have soup, and had to get off the line. The TA reviews here don't match my experience. I just noticed many were submitted by BW. Problem with those, is that they only probably submit good reviews. I reread some reviews, and I noticed someone else mentioned the 'prohibition'. I WILL NEVER GO BACK TO THIS HOTEL, OR ANY OTHER HOTEL THAT TELLS ME I CAN NOT BRING FOOD BACK TO THE ROOM. I DO NOT RECOMMEND THIS HOTEL, EVEN THOUGH I HAD NO PROBLEM WITH THE ROOM, OR HOTEL , IN GENERAL, WITH THE EXCEPTION OF THE BREAKFAST AND CUSTOMER SERVICE SKILLS OF OWNER. We were able to check in a little early which was a huge help with a ten month old traveling with us. The staff was very accommodating. The pool was refreshing and very clean and a great break after a 4 hour trip with young children. The cleaning staff were still in the area of our rooms and very helpful in suppling us with needed extra towels and sheets. Wife and I stayed here for a Wedding in a nearby town. Rooms and bathroom were clean. We overslept for breakfast, so I cannot comment on that. But this stay was comparable to any other Best Western - or similar - type hotel. Would stay again. This hotel was very clean and had a wonderful staff. 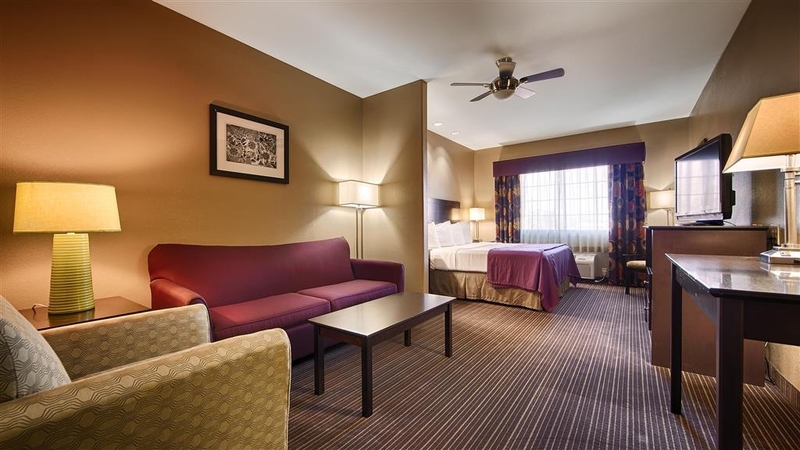 If we go back to Giddings for anything and need to stay we will stay at this hotel. Plenty of fast food around the hotel for something quick to eat. Staff was friendly helpful and professional, location worked out to be very convenient for the personal business we needed to take care of. Hotel facilities were perfect. My wife and myself enjoyed our stay here. It was a very relaxing enviornment. Nicest and newest hotel in Giddings. You will not be disappointed. Beds and pillows are very comfortable and the room was larger than expected. Breakfast was good however there is no waffle maker but quality of orange juice made up for it. 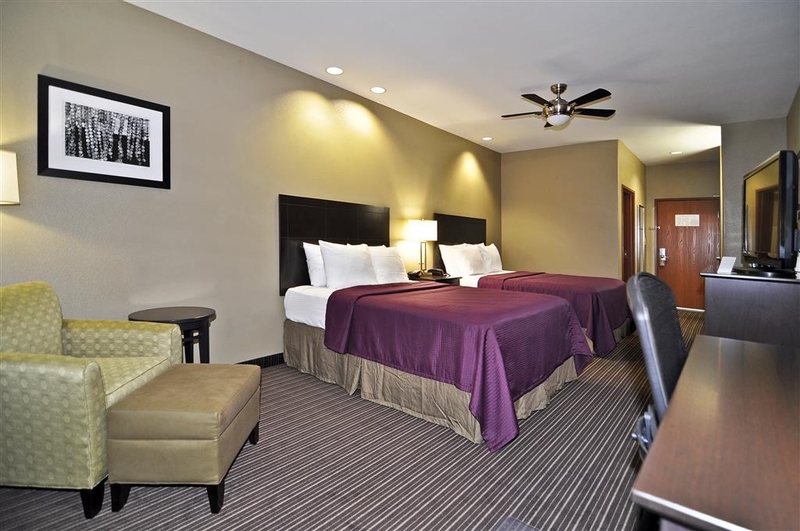 "Very good value and nice staff"
Staff was so helpful and the hotel was well priced. Decent breakfast included and the wi-fi worked well. Rooms are a bit dark but they are big and spacious that was nice. 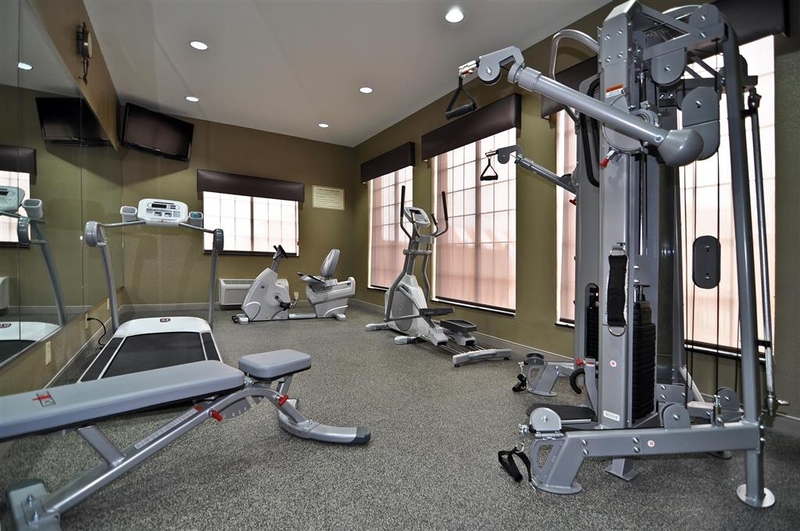 Easy location and for limited places in Giddings a nice option. 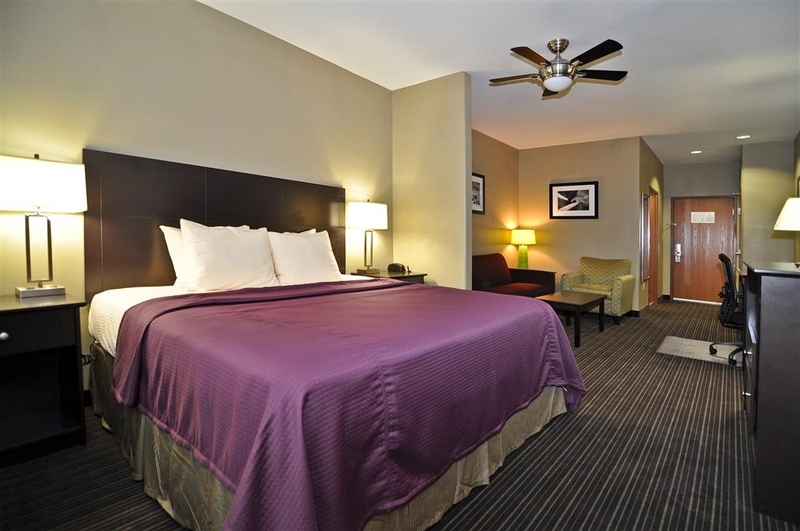 "Clean, comfortable, needs more focus on details"
Stayed here during the recent MS150. 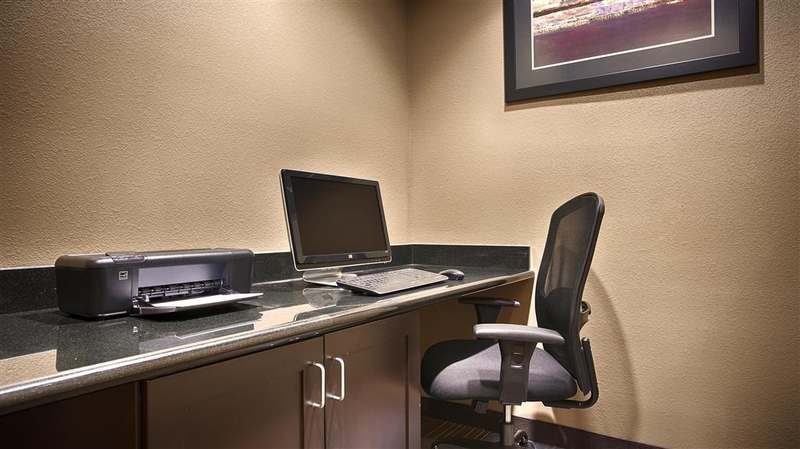 Very convenient to La Grange and overall a clean, quiet hotel. Nice sized room with sitting area that makes it feel even larger. It also includes a fridge and small microwave. Comfortable bed and pillows, nice towels in bathroom. However three items raise concern about attention to details: Two of the picture frames had large pieces of laminate peeling. One of the lamps was unplugged, necessitating moving a bedside table to plug it in. Wi-fi password printed on key card envelope was wrong. Individually, these are no big deal. However, taken together they indicate a lack of attention to detail management needs to address if they want to maintain a quality facility for the long term. My daughter and I were caught in terrible weather driving home to the Conroe area from Austin and decided to stop here for the night to stay safe. Clean, comfortable beds. Breakfast offering was ok, just the basics, cereal, eggs, toast etc. Staff was friendly and helpful. It is quiet, comfortable and clean. I have stayed here once a year in April for the last three years. 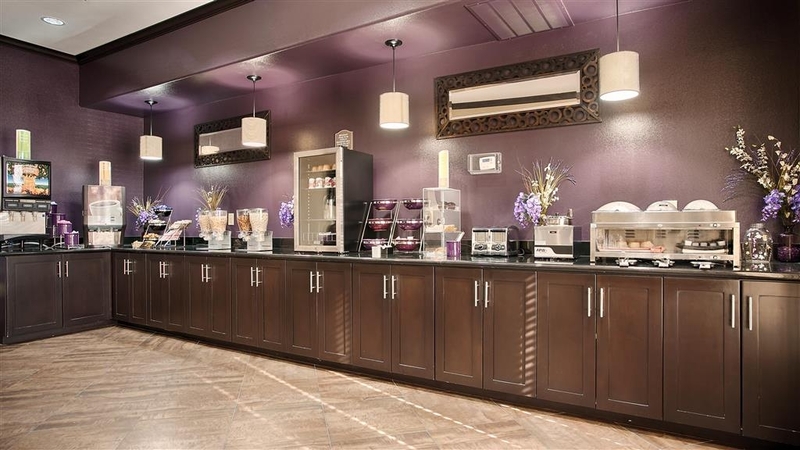 The breakfast buffet is also very good with a selection of scrambled eggs, bacon, cereal, hot and cold, and pastries? Would recommend it. 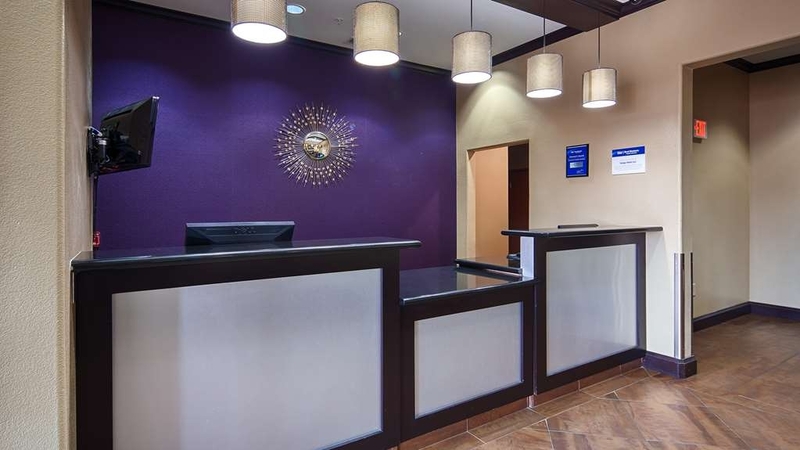 My stay at Best Western of Giddings Tx was a great experience all the way from check in to check out. The personnel was very personable and helpful with information. The room was clean, warm and inviting. The bed was very comfortable and I received a great nights sleep. I would recommend this Hotel to anyone planning a trip to stay in Giddings Tx. 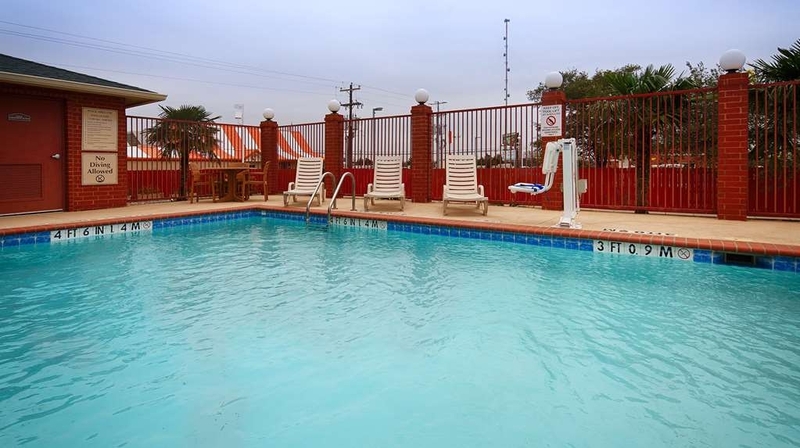 "Best Western - Giddings, Tx"
This is a pleasant place to stay, Close to businesses. Staff is friendly and hotel is clean. I occasionally have employees that come to town and they also stay here. They all agree this is a nice hotel to stay at. Most comfortable bed I have ever slept in... We stayed an extra night when I was invited to stay at a families home for free...The bed and room was very comfortable. The breakfast was fresh and kept warm... overall tasty. I have stayed at hotels even in southern California, that were as nice for a slightly less rate. Thought it was slightly high, however if I was ever to stay in Giddings TX again...I would definitely stay at Best Western. "Best Western in Giddings tx"
The Beauty Of This Hotel Is Seen When You Walk In,Open The Door To The Room Decor Makes You Feel At Home Very Comfortable Beds,Fridge And Microwave,Bathroom Plenty Of Room First Class Towels,Ironing Board Handy,Internet Works Great,TV's Picture Perfect,Rest With Ease.Thanks Bestwestern Giddings Inn. We were stranded due to flooding and this is the second time I had to stay at this hotel in the past two years. And both times it was A+++.. You would not expect a hotel like this in a one horse town, and thank you for being there. I travel a lot for business but rarely take the time to review my hotels. However, this hotel is worth the effort. I was given a very nice room with an excellent bed and nice, very clean quality linens. Great customer service. 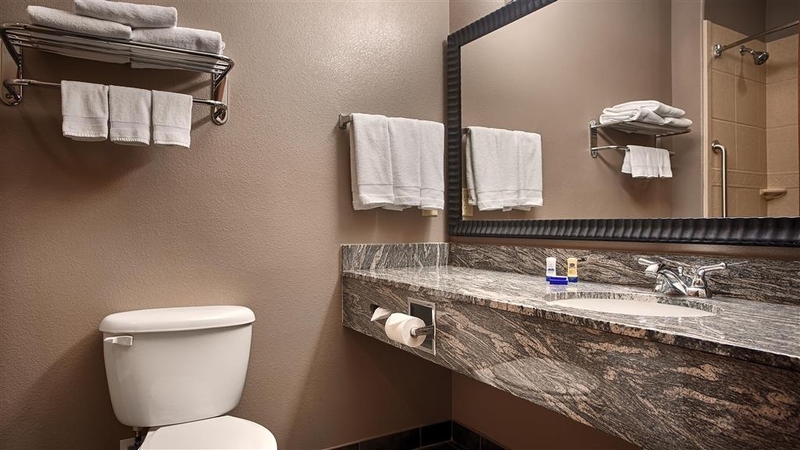 Very clean restroom with very clean and decent quality shower, shower curtain and towels. I highly recommend this hotel. Good price for this area! Paid 50$ more last week for much less desirable hotel in this same area. 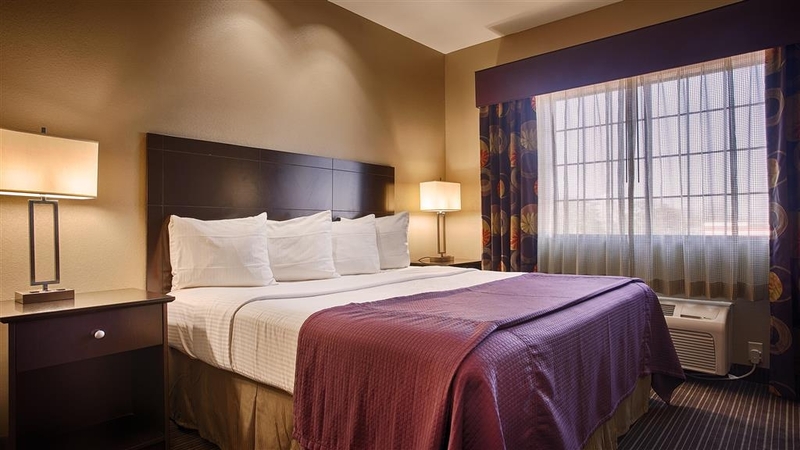 "Great Place to stay for Texas Antique Week"
Extremely friendly front desk and housekeeping staff! In most places I've stayed you never interact with housekeeping, but at this hotel, they are friendly and ask if you need things, etc. The room was clean, and had a ceiling fan. I do wish there was more variety for breakfast, sausage and eggs 3 of the 4 days I stayed. Was as and issue with reservation that was made. Not a problem to fix and the desk clerk was very helpful. Very friendly.All was good from check-in to check-out. 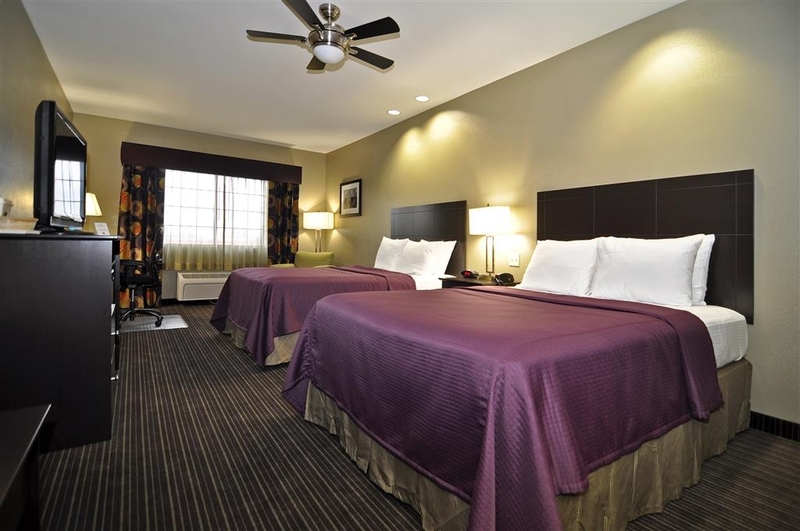 Nice large room, comfortable beds, very very clean. "A hotel with a ceiling fan!" This hotel is great! The only hotel I've ever stayed at that has a ceiling fan! I've stayed at this hotel several times over the last few years and the experience has always been the same...GREAT! Location is close to many restaurants and shopping. I tried to make my reservation online on my phone as we were traveling but it kept saying no rooms available. We decided to stop in and just see if they might have a room. Why yes, they had plenty, at a higher rate than online. Took the room because it was getting late and we were tired otherwise we would not have paid that price for a room in a town like Giddings. It is a small town, not a big city. I travel a lot and stay indifferent towns a lot. This time I was working in Giddings and stayed at the Best Western. It was off the main highway, So I was worried about noise - I didn't hear any traffic during the night. 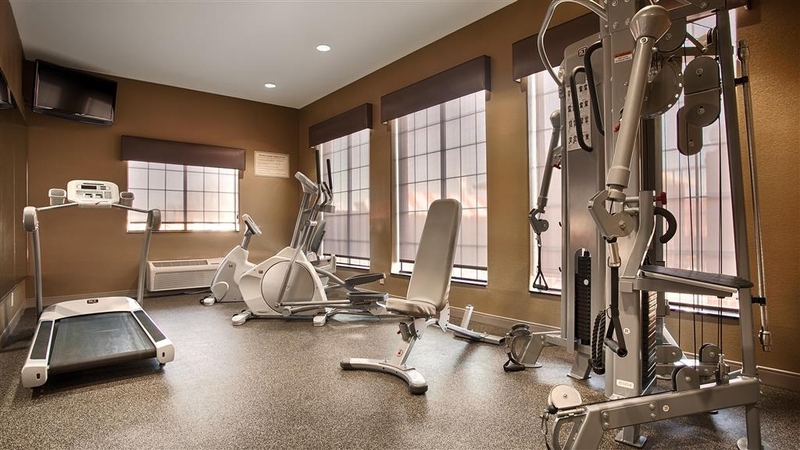 Good location, Close to Stores, Restaurants. Could walk to most if wanted.